Follow this up by having a look at the countless acts of intimidation of rural residents who don’t support the fell packs in Cumbria, some of whom are only able to survive with the blessing of the National Trust, as revealed in this Independent article (Jane Dalton, 19/09/2017) in which, tellingly, those offering their stories only do so under pseudonyms to protect themselves. 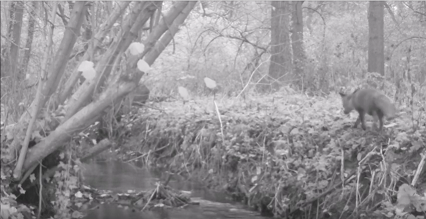 The National Trust have recently provided an update on their hunting rules. They say their update is the result of a carefully considered review which took half a year, although it did appear on their website immediately after a sudden flurry of media attention on their hunting stance broke across the country. Convenient, right? It was so rushed, in fact, that by admitting terriermen have no role on a ‘trail hunt’ they accidentally admitted that they’ve been turning a blind eye to blatant wildlife crime for 12 years. 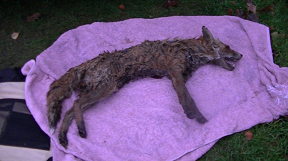 What have the terriermen been doing with the hunts that the Trust licences since the Hunting Act 2004 came into effect? Quite an obvious question; the Trust probably shouldn’t have brought attention to it. The hunts they licence are still being filmed with terriermen, such as the Warwickshire Hunt. It doesn’t matter if the Trust wants to do dismiss such occurrences as not being on Trust land, because if the Trust’s new rules require the hunts to follow non-animal based scent, where are they keeping the second pack specific to Trust land & trained on non-animal based scent if they are already training their existing (and non-fictional) pack on the scent of (live) foxes? The answer is obvious. If you’re a member of the National Trust, we aren’t describing this farce to put you off the National Trust. 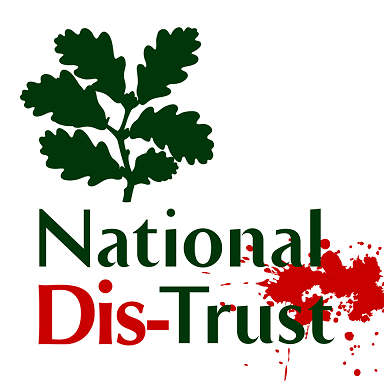 We’re explaining it because if you think the National Trust should genuinely stand for wildlife instead of turning a blind eye to criminal blood junkies, then you can support a members a resolution to vote them off. With your help, the Trust’s land i.e. the land that you pay to preserve for future generations, can have a better chance of becoming a genuine sanctuary for increasingly pressured wildlife instead of a playground for psychopaths. We hope that you support the resolution and follow our simple guidance for members .